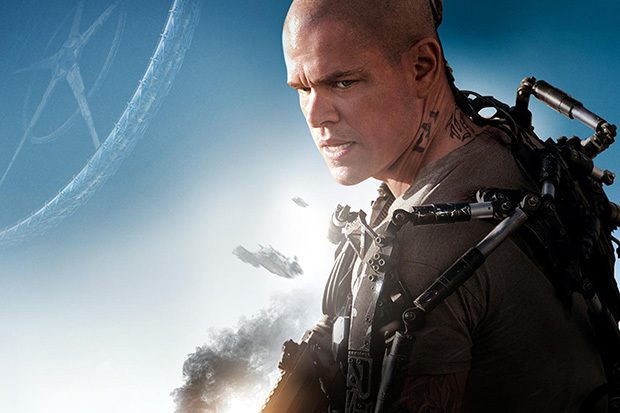 Written and directed by Neill Blomkamp, Elysium is a new science fiction movie starring Matt Damon and Jodie Foster. Set in the year 2154, two classes of people exist: the very wealthy, who live on a pristine man-made space station called Elysium, and the rest, who live on an overpopulated, ruined planet. Digital Film Central, based in Vancouver, was given the task of post producing the movie. It put together a colour and conform workflow that tightly integrated editorial, effects, colour and conform, and digital intermediate delivery. 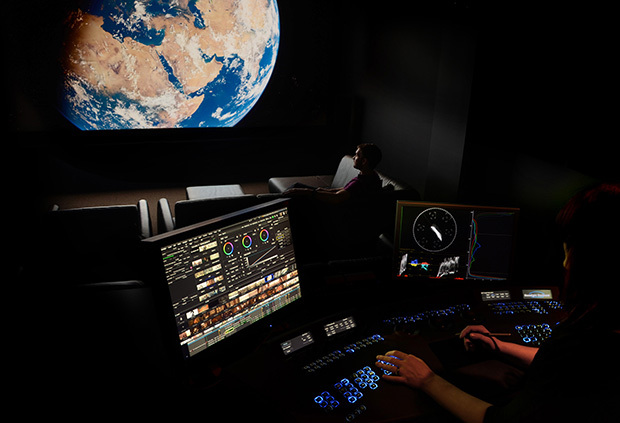 The workflow was based around the Baselight colour grading platform from FilmLight, which gave Centrals senior DI colorist Andrea Chlebak complete creative freedom to create the final look for the film. Collaborating closely with Image Engine, the lead VFX house, Central was involved in the production from the early stages. As a very heavy VFX movie, it was vital that colour was handled properly from the get-go, said Chlebak. As part of that process, I naturally became involved in discussions with Neill about the look of the film, and we connected on his vision for Elysium. Director Neill Blomkamp emphasised that the aesthetic for Elysium was incredibly important to me. A lot of Andreas instincts were in line with mine, and that just makes for a very seamless, smooth process." The guiding theme behind the colour design was the two distinct worlds. We were most interested in the look we wanted to create for the two worlds: the Earth in the year 2154, and the incredible-looking space station, Elysium, explained Chlebak. A lot was already there from the photography and art direction, so I studied those styles and started to work with Neill on Baselight, creating a handful of different and interesting looks to help enhance each scene. Before the VFX work began, the team wanted to know what the final look of the film was going to be, so Central identified a few hero shots and pre-graded them in Baselight under Blomkamps direction. These looks were then carried over to the VFX team and distributed to all departments, allowing them to preview their composites. At first we did all of the pre-grading for VFX plates with the VFX supervisor, grading at 50 or 100 shots at any one time, recalled Chlebak. With him knowing what was coming in terms of effects and me knowing what the final look of that scene was going to be, we were able to work together to optimise the pre-grade for both VFX and DI simultaneously. It also meant that when Neill was at the VFX house reviewing the final shots, he could be confident that what he was seeing was the same as what we were seeing over at Central, when I was going through the DI, she added. And VFX were never concerned that their work would be drastically altered in DI because they were able to preview their work in the context of Neills preferred look. 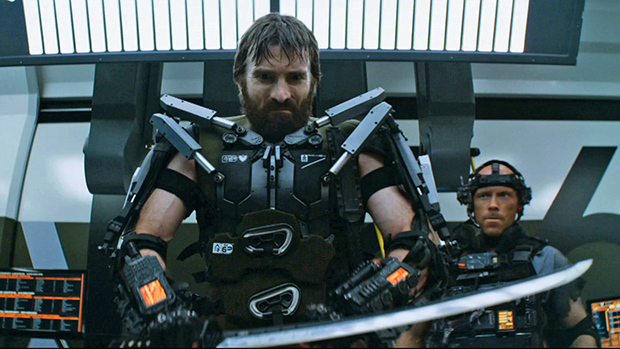 The VFX pre-grade was critical in terms of creativity for the artists and for Blomkamp, but Central also implemented another unique factor into the workflow by using ACES, the relatively new Academy Color Encoding System, which carries colour information between devices. A big thing that happened with Elysium is that we worked with the VFX supervisor to switch everyones workflows over to ACES, explained Chris Davies, the director of operations and colour workflows at Central. We had gone through ACES workflows in-house on DIs before, but we figured this project was a good opportunity to unify the worlds of DI and VFX. This meant taking the bold step of moving away from the tried and tested DPX file format to the much newer OpenEXR format, but Baselight and the rest of the FilmLight workflow has full support for the OpenEXR spec, so the team were confident the new workflow was safe. We spent a lot of R&D time prior to starting VFX to tune every aspect of the ACES and OpenEXR workflows," said Davies. "We worked directly with the VFX teams, FilmLight, and the ACES developers, testing effects comps and grading strategies, and adding or refining software features on key systems. The results were worth the effort, as the CG married unbelievably well with the camera footage and achieved the goal of photo-realism that Neill had for the film."